There is no other strain of self-analysis quite like the one that begins with a hangover placing its foot on your throat—that sweaty, heaving mass of bad decisions, good decisions that now feel like bad decisions, and inconvenient black spots. 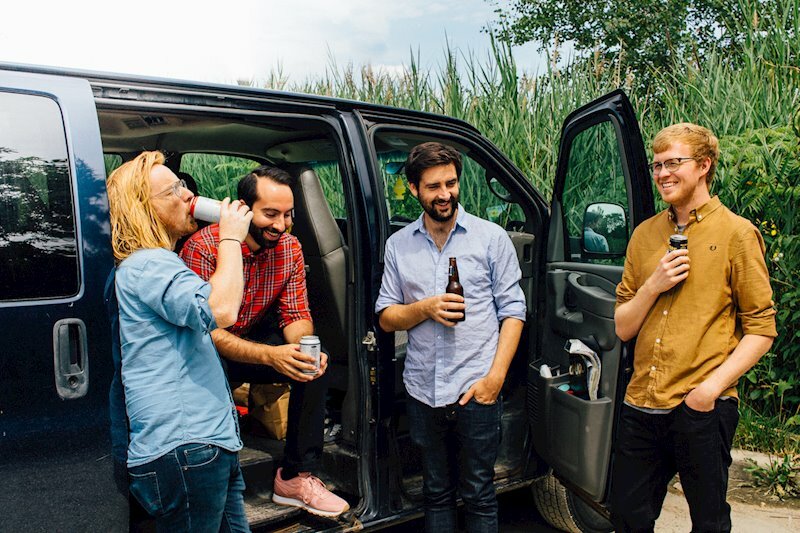 On ‘Optimal Lifestyles’, their second LP, the Toronto punk band Pkew Pkew Pkew spin that feeling out across 15 songs, figuring out a few plot holes and slipping into some of the same old traps along the way. If their self-titled bow was a blowout set to yell-along choruses and spilled PBR then this is the morning after, when the question is ‘why?’ rather than ‘why not?’. Following the release of their debut in 2016 the band became a genuine touring concern for the first time. They swapped local bars for foreign locales from time to time as life carried on without them back home. What began as a goof-off distraction from their 9 to 5 became much more than that—an artistic outlet and a potential money pit. On ‘Optimal Lifestyles’ this shift in priorities casts a long shadow. At the heart of it all is the difficulty of existing as a creative person in the modern world. Here spiralling rents duke it out with uncertain incomes and the lingering belief that maybe this whole play-guitar-with-your-friends deal isn’t all that wise— particularly as you’re not in your 20s anymore, when the hangovers faded a hell of a lot faster than they do now. Pkew Pkew Pkew tap into this anxiety very well, perhaps because they know that sections of their audience will be feeling the same way. “I think the safest thing for me when I'm writing songs is to just be completely honest,” Warne says. “Whatever my situation is, it's not unique in any way. There's tons and tons and tons of people that are going through the same stuff. So however old I am is what I'll write about, and there'll be people there for that. Butting up against this new thematic concern is a dialectical shift in the band’s songwriting. 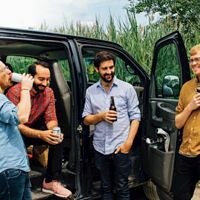 There are moments of gonzo mayhem here, but there are also tightly-coiled pop-rock detours, Thin Lizzy-derived twin guitar leads and shrewd narratives in the style of the Hold Steady’s Craig Finn, who helped out with some ideas during the record’s early stages. ‘Optimal Lifestyles’ is out on March 1 through Dine Alone/Big Scary Monsters. Click here to compare & buy Pkew Pkew Pkew Tickets at Stereoboard.com.